Istueta Roofing is proud to announce our certification for the use of Berridge metal roofing. This new addition is just one of the many high-quality roofing options Istueta Roofing has to offer in metal roofing material in Miami. Berridge roofing products are in the highest end of metal roofing materials and are extremely weather resistant, and we are one of only a few roofing companies in the Miami area to offer Berridge! Architects, it’s time to rejoice! This program provides you a one-stop shop for all your metal roofing product needs. Not only will you enjoy the convenience of using just one company, you will enjoy a vast amount of information too. 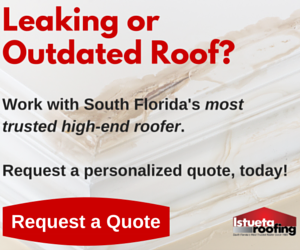 A new roof on your mind? Then now is the time! We are so excited to work with Berridge products we just can’t wait to hear from you. We take PRIDE in our work while earning your TRUST by giving unparalleled service. We always work with INTEGRITY which ultimately gives you PEACE OF MIND.